Now, coding newspapers front pages is easier than ever. You don’t need to have any programming skills to do it. 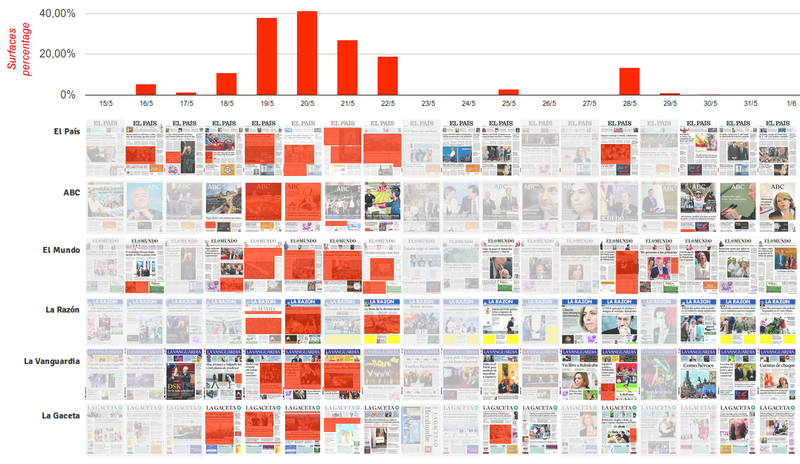 Not so long ago I was uploading my first script in github that allowed others to go to the process of scraping, downloading and scraping front pages of newspapers. It was kind of complicated, and almost no one did it until the end (thanks Ahmd). You needed to run it in Processing, and code it in Inkscape. In the following images I am comparing the “old” method with inkscape whit the new one. 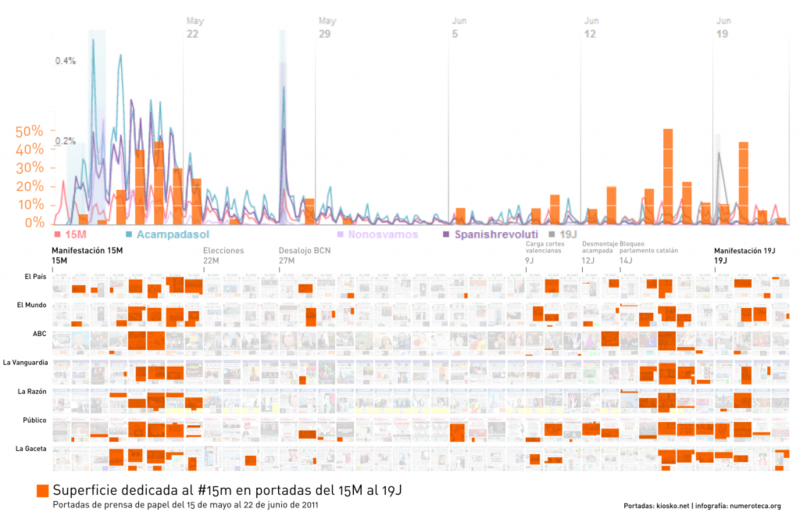 Below you can compare the two methods applied to this thread about the #15M mobilizations, indignados movement, on May 2011. In this case also twitter data are included.